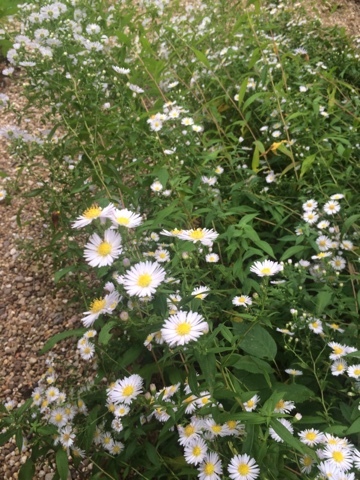 Asters - big daisies. Actually, I have no luck growing them at all. These are in a friend's garden, flourishing madly.